리마의 편리한 위치에 있는 파라오나 그랜드에서 여행을 시작해 보세요. 이 곳에서 생동감 넘치는 도시의 많은 것을 최대로 즐길 수 있습니다. 본 숙소는 Faster Skateshop, 카사 드 리카도 팔마, Palacio Municipal de Miraflores 등과 같은 많은 관광지 및 명소와 가까운 거리에 있습니다. 본 숙소(파라오나 그랜드)의 훌륭한 서비스와 우수한 시설이 잊을 수 없는 여행을 만들어 줍니다. 본 숙소는 매우 까다로운 투숙객도 만족시키는 다수의 숙소 내 시설을 제공합니다. 모든 객실은 편안하고 안락함을 선사해 줍니다. 많은 객실에서 편안함을 더하기 위해 평면 TV, 거실, 무선 인터넷, 무선 인터넷(무료), 금연 객실 등을 제공합니다. 본 숙소에서 실외 수영장, 키즈풀 등을 즐기며 편하고 완벽한 휴식을 취할 수 있습니다. 본 숙소(파라오나 그랜드)의 좋은 위치와 서비스를 충분히 즐겨보세요! The staff are the best thing about this hotel, they make you feel like VIP's.The breakfast was delicious, the rooms very clean and comfortable. we really enjoyed our stay. The location of hotel is very good, though it is next to Pub area, the noise is just a little. The style of hotel is a bit old, but a classic type. The breakfast is simple but good to eat. 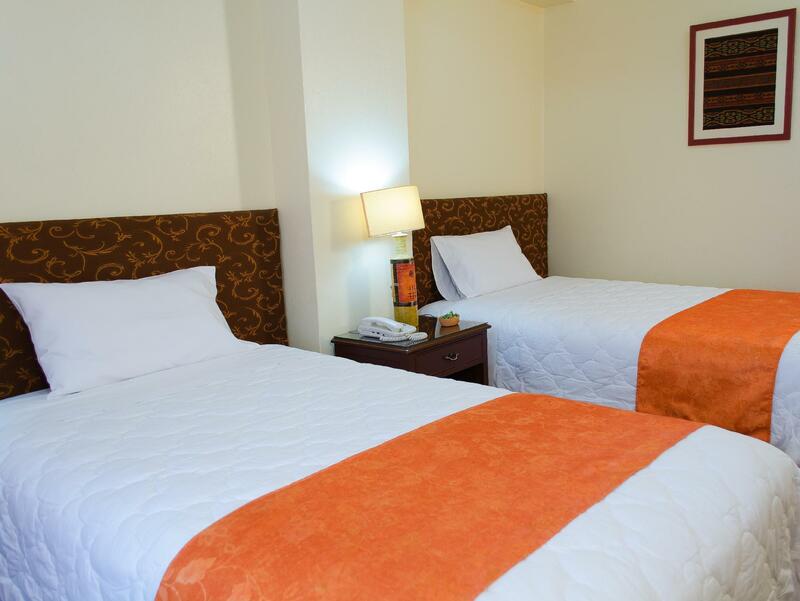 Good location - 5 minutes away to street full of activities. Nearby shopping area, food outlets (McD), pharmacies and parks. Helpful staff - staff helped to communicate with taxi driver on where we wanted to go to so that we will not get lost. More importantly, we left our money pouch on the front desk and the staff kept it for us till we came back to get it. :) Clean rooms - rooms were big and clean. We had a double bed and 2 single beds for a triple-room booking. Only downside is that their laundry services dont work on Sun which i thought was strange for a hotel but was not a big issue. Overall a great stay. My stay was excellent. Not one complaint. Room booked was with two twin beds and was nice amount of space. 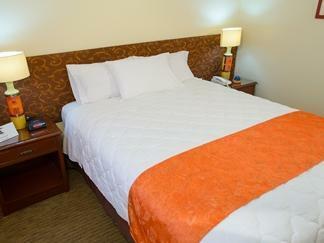 Beds were comfortable, good hot water, pillows good, hotel was very clean and the staff was extremely nice and helpful. 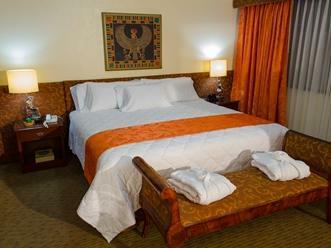 I am a travel writer and stay in hotels around the world and the combination of price, location, security and staff quality makes the Faraona Grand an excellent choice. I stayed at this hotel on a number of days in June and July 2014. 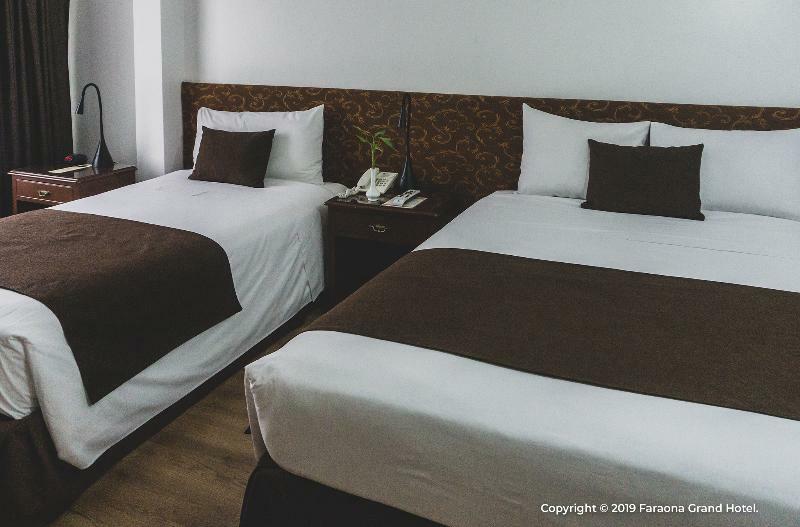 The location is great: very near the central Parque Kennedy in Miraflores and to restaurants and main shopping centres in Miraflores. 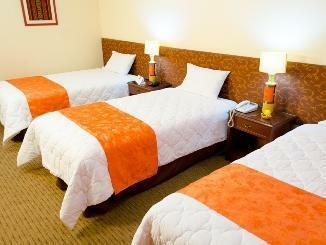 The staff is generally friendly and helpful; speak English and can help organise taxis to locations in Lima. 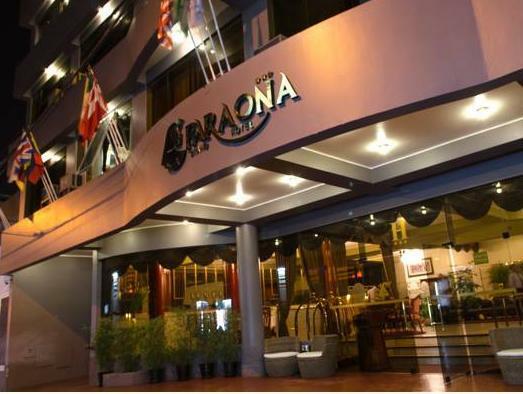 I recommend this hotel for anyone visiting Lima. It is in very good location, but the breakfast is very normal. Overall a great plzce to stay. Sensible price. Nice small bar where we tried out our complimentary Pisco Sour, on the weekend they had a chap on the piano who was taking requests and playing a diverse set of songs. Good buffet breakfast but also nice dinner. Rooms were spacious, nice bathroom. Lots of channels with English langauge options. While close to Kennedy park, it is located off a quiet street with hardly any noise. Great location for getting Metropolitana into down down, or local collectivos into Barranco or walking down to the pacific coast. Overall, thoroughly enjoyed our stay here, hard to find much wrong with it. We are on a 2 month South America holiday will fly out of Lima and will probably stay here again. Staff. Location. Juana - the concierge. The only issue was that the water in the shower wasn't great. Bad water pressure and only hot water. staff was really non friendly... Workers were also working in the early morning, without customers have been notified... Only the location!!! Overall stay was satisfactory. Room was standard and clean. Staff were very helpful specially to tourist. Breakfast could be better... Miraflores is a posh and safe place to stay and offers access to Mirabus (bus tour) by which you can explore the historic old buildings and structure of Lima. Great I would definitely book this hotel again. This was the third time I booked here.